Welcome to Mini Hoof Beats Miniatures! This tiny little program had originally started as an appaloosa program with the purchase of D&M Gemstone Pokadots Afternoon Delight, who now resides in beautiful Belgium! 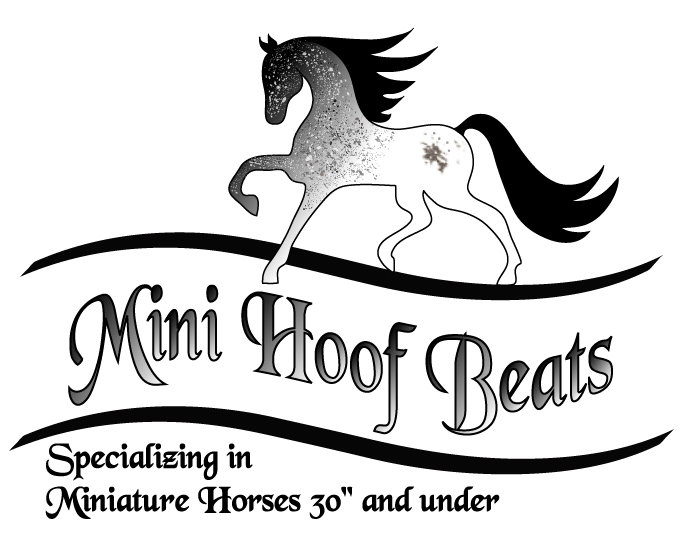 Life events turned me to a new path and I am delighted to say Mini Hoof Beats now specializes in miniature horses 30" and Under! Pictured here is Reflections Ultimate Cowboy CBY. I am excited to announce our very first under 30" addition, Reflections Ultimate Cowboy CBY! He is to be my future herd sire and with Lucky 17 Cowboy (25.5") as his sire, and champion dam Rising Sun Miniatures Moon Dancer, he is sure to be a fantastic start! 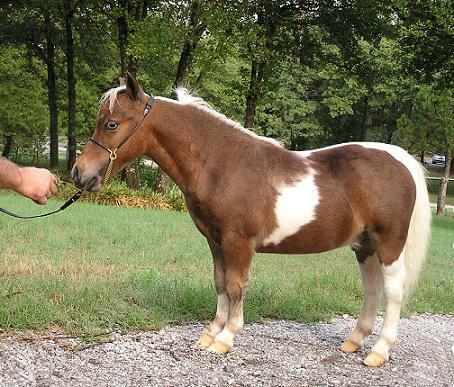 Ultimate Cowboy will also have a job on the side as a therapy/educational miniature horse around my small town! Please feel free to e-mail or call me with any questions or if you just want to talk mini's!